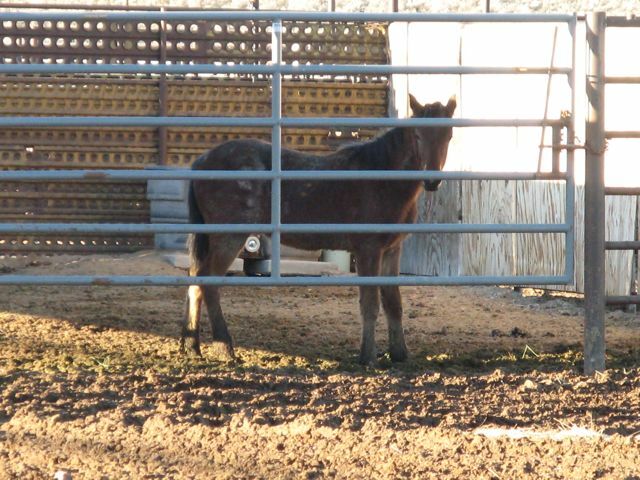 Why are holding facilities fattening up native wild horses with alfalfa to the point of obesity and cresty necks? Aren’t they worried the mustangs might get sick and founder? Or are they just fattening them up to sell them off? Tibet (#9783) is a wild horse yearling from Wyoming who has 2-Strikes against him. Several young wild horses in the recent internet adoption were passed over and now have received two strikes against them. All the others have one strike now. 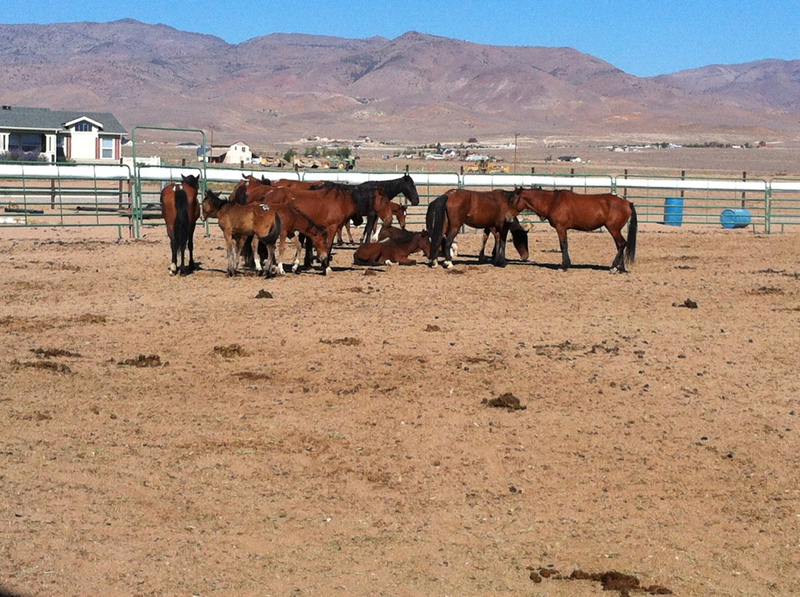 Most of these wild horses are yearlings. BLM’s head office confirmed by email what we warned was happening despite certain holding facilities giving out misleading information and confusing the public. 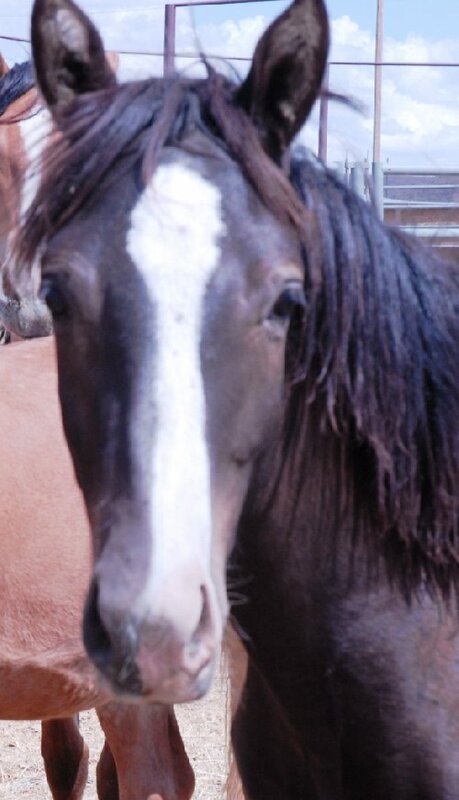 We are working with an adopter for Desiree (2-Strike two year old mare from Nevada). We need donations for Tibet’s transportation from Wyoming to the San Francisco Bay Area and for Blondie from Litchfield to the Bay Area too. Thank you for taking action to help save these 2-Strike yearlings and help find adopters for the other at-risk young mustangs. You may donate via PayPal to Contact@ProtectMustangs.org We are very grateful for your help to save these young wild horses. 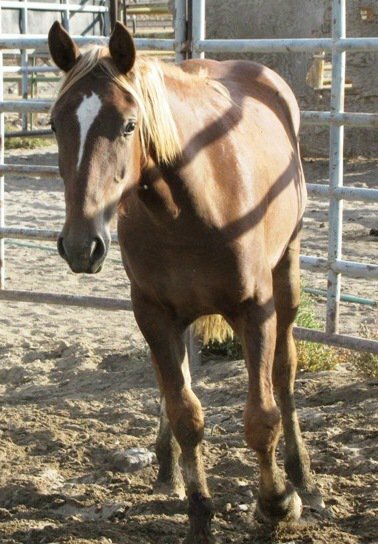 Blondie (#3498) is a 2-Strike wild horse yearling from California’s High Rock HMA. Hi Anne. Sorry for not getting back to you yesterday. Meetings and report deadlines held me up. Please see the strike status of the horses in question below my responses to your adoption/sale questions . . .
#2868 Bay Filly: No Bid on the internet adoption. 1 strike. Now going to IN adoption to potential adopter. #3498 Sorrel Filly: No Bid on the internet adoption. Now has 2 strikes. #9783: No Bid on the internet adoption. 2 strikes. Now going to Mantle’s for potential adopter. #6144: No Bid on the internet adoption. 1 strike. We were told earlier Sophie had 2 strikes. Now going to Mantle’s for potential adopter. The Rally will start promptly at 11 a.m. and end at 1:00 p.m., directly in front of the Legislative Building. We will only be allowed to walk on the sidewalk and grass next to the street. We will NOT be able to use the Legislative Building grounds to meet ahead of time. So, we will be staging at the vacant lot on the corner of Carson Street and Fourth Street – DIRECTLY ACROSS THE STREET FROM THE SIDEWALK CROSSING IN FRONT OF THE LEGISLATIVE BUILDING [BIG CLOCK]. We have lots and lots of Nevada Department of of Agriculture signs already made out. Cat Kindsfather is making up some special signs for us to carry, at the last minute and very much appreciate her efforts on this. I am bringing a Nevada flag, as well as our Alliance of Wild Horse Advocates Advocates big banner. So, with that said, it’s vital we meet early enough to go over the talking points and to hand out signs. PLEASE, ORGANIZERS OF THE EVENT – BE AT THE EMPTY LOT BY 10 A.M.
OTHER PARTICIPANTS, PLEASE BE AT THE EMPTY LOT NO LATER THAN 10:30 A.M. 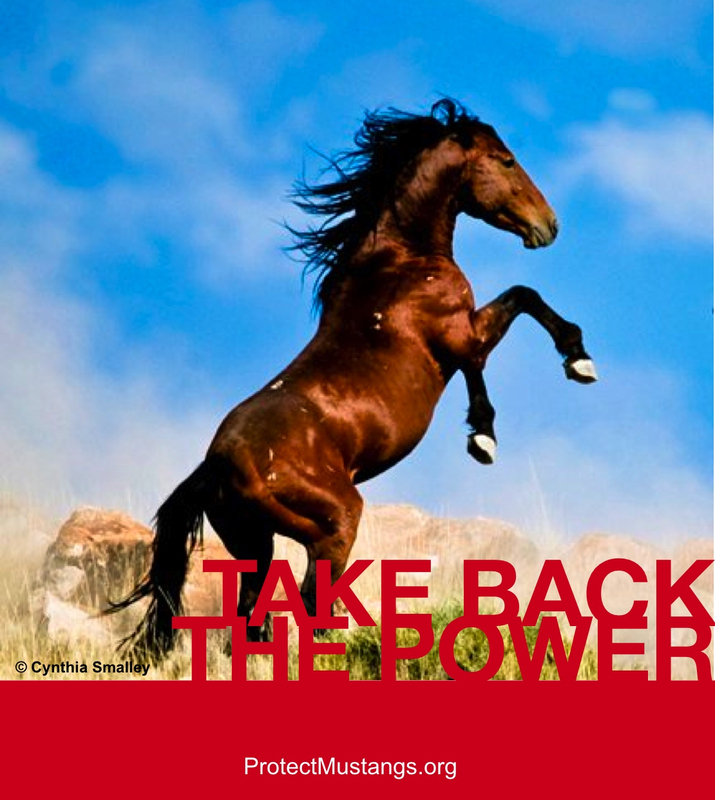 Thank you all – realize the whole thing’s been a rush, but this Rally is very needed on the truth and lies about the Nevada Department of Agriculture, informing the public before the already-captured Virginia Range horses go to sale at auction on Wednesday, September 19, 2012 – SALE MEANS SLAUGHTER!